The photorealist replaces the studio artist’s personal interpretive vision with the recording of visual fact. He replaces the subjectivity of the artist’s eye with the objectivity of the camera lens. According to Robert Bechtle, one of today’s foremost photorealists, the difference between the two is that the studio artist is fundamentaly concerned with the difference between his work and the object itself whereas the photorealist tries to eliminate that difference. 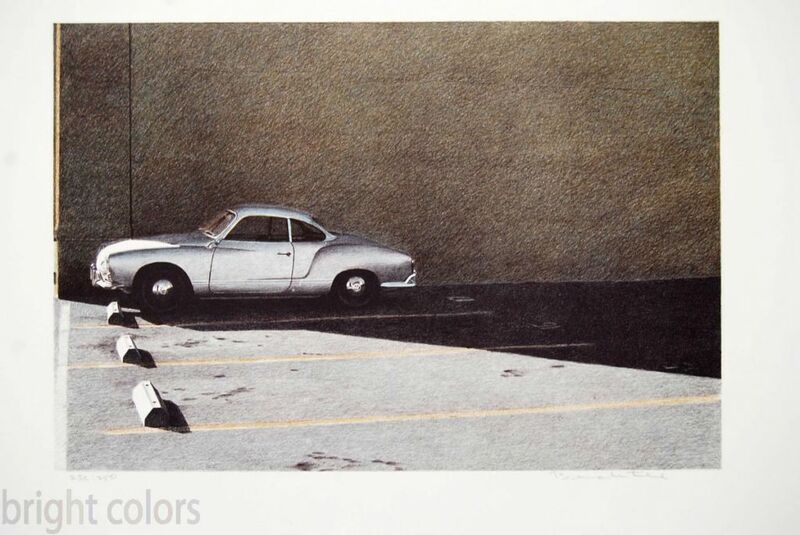 Bechtle has worked incessently on images of suburban automobiles. The scenes, through unexpressive and inviolate, convey hidden subtle intimations of emotion. His background landscapes, cold as they seem, are often interpretive. His paintings and prints echo the adage that the most obvious presents the greatest challenge to the trained eye.